Sherri has over 30 years of experience in the mortgage lending industry, holding various positions in servicing large regional and national lending institutions. 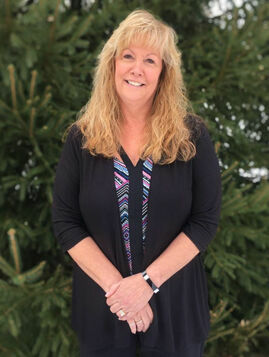 Prior to joining Corporate Settlement Solutions, Sherri worked as Vice President of Customer Service at Old Republic Title Insurance Company, responsible for building their valuation and ancillary product departments and overseeing product quality control. She also worked as the Customer Service Operations Director at TRW and; Record Data, responsible for managing a large customer service staff and created a quality control outreach program to ensure that customers were provided exceptional customer service. At Corporate Settlement Solutions, Sherri has been instrumental in building a valuation department that provides lenders, banks and credit unions with nationwide coverage for traditional appraisals, hybrid valuations, automated valuation models, and flood certifications. She currently oversees all valuation and uninsured title products, focused on providing a quality product with a great customer service experience, through identifying customer's expectations and unique requirements, and building processes and procedures to meet their needs, resulting in long-term relationships.